When your leaders win, you win. When you win, your church wins. You want your leaders to feel like winners don’t you? They work with students every week for months and sometimes years at a time. This can be discouraging and feel more like a weekly task rather than an eternal investment. I want my leaders to feel like they have won each week. To do this I have developed a WIN calendar for them. Each week the WIN is a little bit different, they are made aware of the WIN earlier in the week through an email or our app. During our meeting (pre-game show) we discuss the WIN for the week and why it’s important. Make contact with the parents, ask how you can be praying for them. Attend your students lunch or extra-curricular activity. Throw a small group party. Tell a student how much you care about them. Send an email home reminding parents of upcoming events. Talk about camp in small group and how to sign up. These wins are much more effective in and through small groups, more than they ever would be from the stage. Attention Youth Pastors…a HAVE TO READ article! I posted this article almost exactly a year ago, but read through it again for a second time. If you are discouraged about your ministry budget, lack of volunteers and want to rally your leadership to invest in the next generation, then I believe you will find some great nuggets in this article by Duane Smith. This can help you take a much closer look at what we as youth pastors are up against. These thoughts of Stanley Grenz, former professor at Carey Theological Seminary, Vancouver, BC, in the preface to Making Sense Out Of Church, provoke us to rethink the effectiveness of our current ministry paradigms. The “grave implications” to which Grenz refers are evident to those involved in youth ministry. Many of our congregations seem stuck in “cultural lag,” a slow or delayed response to changing paradigms, resulting in the loss of relevance or impact, particularly with younger generations. Even when churches seek to understand these postmodern shifts, most struggle with simply “keeping up” in a rapidly shifting youth culture. Cultural analysts note that in the 1980s and early 1990s, the landscape of youth culture shifted significantly about every six to seven years; today this shift seems to occur every three years. Recent statistics regarding baptized youth also reveal evidence of cultural lag. Approximately eight out of ten adolescents will leave their RCA or CRC roots within a year of high school graduation. Certainly this is one factor affecting the forty-year plus membership decline within the RCA, yet it’s a factor we have not addressed well. Revitalization efforts, if effective at reversing this decline, must embrace the reality that our static youth ministry efforts are not effective in the long term. Although solutions will not come easily, we must begin to elevate youth ministry as a higher priority. We are losing connection with today’s generation. We will likely continue to die as congregations and denominations unless we pay serious attention to this issue. Traditionally, youth ministry has not received priority attention within our churches. Recent analysis of the churches within the RCA Synod of the Great Lakes revealed that the average congregation invests less than 7% of its operating budget in youth ministry,3 even though according to George Barna, 41% of those who comprise American churches are 18 years of age or younger.4 In some cases, less than $500 is annually allocated for youth ministry efforts. Additionally, further polling reveals that only one in ten churches claims to have a vibrant youth ministry. Likewise, the profession of youth ministry has been one of the lowest paying vocational careers in America. In some cases, those in professional youth ministry receive a compensation package that is 60% less than other similar professions requiring the same level of education. We need a few churches to become innovative leaders in youth ministry development, churches that will move outside the box of traditional ministry and embrace innovative strategies that engage youth in the cause of Christ. The average congregation invests less than 7% of its operating budget in youth ministry. Larger churches must begin to share their resource wealth with smaller churches. This means that we must break down the walls that separate churches in our communities and explore community-based youth ministry approaches. When it comes to youth ministry, most of our churches are segregated and dysfunctional at best. Rarely have our congregations worked together with any sense of synergy. We live in communities where 50% or more of the youth are now unchurched, yet we remain isolated and ineffective. Churches with innovative youth ministries then can become centers for youth ministry development, effectively cultivating and training leaders to coach and mentor youth. At the same time, our denominations must take the lead in advocating fair and equal treatment of youth workers, keeping these leaders engaged in kingdom work instead of sending them packing because of economic hardship. We must embrace our mission as “going into the world” instead of waiting for lost youth to find our church doors. He was clear about his mission. He invested in twelve and had a very close relationship with three. He journeyed with them through life. He taught more outside the classroom than in the classroom. He modeled what he taught, allowing his followers to engage faith in action. He challenged them as emerging leaders to move beyond their current capabilities. He ultimately transferred ministry responsibility to them. These aspects of Jesus’ ministry can be translated into guidelines for a missional youth ministry today. Most churches, although unconsciously affirming the value of youth ministry, have never clearly articulated why their youth ministry exists. Without a defined mission and purpose, many churches find themselves “shooting in the dark,” hoping to somehow hit the target. As our statistics indicate, many miss. Clarity of mission must accompany conviction regarding the necessity of youth ministry. Clearly articulating a youth ministry mission and vision is the starting point that ultimately can lead to the development of strategic, measurable, achievable, realistic, and timely goals. Therefore pilot churches testing new paradigms of youth ministry must focus on younger students, especially those in fifth through eighth grades. We are losing connection with today’s generation. We will likely continue to die as congregations and denominations unless we pay serious attention to this issue. 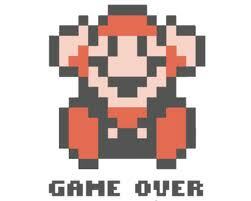 Additionally, we can no longer approach ninth through twelfth grades together. Both research and the experience of youth workers suggest that the first two years of high school are radically different from the last two years. The typical “youth group” approach does not connect with eleventh and twelfth graders. These adolescents today are more interested in leadership roles and mission opportunities. We also need to expand our youth ministry efforts to include late adolescents and young adults post high school, ages eighteen to twenty-four. This group seems to be all but forgotten within many RCA and CRC congregations. While some in this age range take on leadership roles in youth ministry, a high percentage slip through cracks and exit our congregations. Youth ministry leadership that connects relevantly with adolescents fifth grade through post high school requires that we move past the mindset that one paid professional or vocational youth leader can adequately do the job. Typically, churches hire vocational youth workers who are young and highly relational, thus able to attract students with a magnetic personality. This fits with the “if you build it they will come” paradigm. However, this leader type often fails to produce long term results. Administrative and organizational responsibilities are a challenge, and the young, inexperienced youth worker lacks the maturity and experience to develop a strong volunteer team. These youth workers are often short-term, leaving their positions within one to three years. Students who develop a close friendship with this type of leader feel abandoned, and since volunteer leaders are not adequately trained, the youth ministry is placed on hold until the next star is hired. Consequently, the next youth worker arrives with new dreams and ideas but encounters skeptical students, all wondering how long this one will stay. Churches continue to spin their youth ministry wheels, while never gaining long term traction. Implementing a gift-based style of youth ministry leadership within RCA and CRC structures will require significant change in our current systems. As mentioned above, we must deconstruct the concept of hiring a “director” that somehow will be “all things to all students.” The typical director excels in some areas of ministry but struggles in others areas in which he or she lacks skill and passion. This inevitably leaves “leadership voids and holes” within any youth ministry infrastructure. In contrast, gift-based team leadership allows a ministry director to excel in areas where he or she is gifted. This model creates space for others to utilize and express their gifts within the greater whole, a much more well-balanced approach. In the business world, this concept is often referred to as synergy, “the interaction of two or more agents or forces so that their combined effect is greater than the sum of their individual efforts.” Today’s effective youth leader (vocational or volunteer) knows both how to mobilize a team and how to create and foster synergy within a team. By revisiting Jesus’ ministry model, we can conclude that a minimum of one effectively trained youth leader is needed for every twelve potential students that a congregation is seeking to reach. The role of the “hired” director/facilitator now becomes identifying, recruiting, equipping, deploying, and coaching youth ministry apprentices and leaders. In this paradigm, the “volunteers” are championed equally with the trained and equipped “youth leaders,” as they are entrusted to invest relationally in the lives of a small group of teens (rather than just serving punch and cookies in the back of the room). Jesus invested in twelve seemingly average people. He journeyed with them through life. He spent significant, quality time with them. He became vulnerable and transparent on both good days and challenging days. His disciples saw him angry, grieving, distressed, lonely, disappointed, struggling over God’s plan, and praying that there could be another way. They saw him live faith and daily “work out” his relationship with the Father. We might say that field trips were a valuable component of his mentoring. Seldom did he use a classroom or a building. When we compare this kind of intense interaction with the amount of time that youth ministers (let alone ministers in general) interact with young people, the latter seems woefully inadequate. Popular culture has far more interaction with adolescents than youth workers. According to Walt Mueller, adolescents engage popular culture for approximately twenty-five hours each week,8 while the average youth leader spends one or two hours with the same students. How is it that we truly expect any degree of lifechanging impact? Today’s youth are interested in spiritual realities. The church must learn to connect spiritually with this generation in new ways. Conversations with post high school adolescents who remain active and involved in their congregations suggest that they stay engaged because of two factors. The first is authentic relationships, often cultivated through the context of middle school and high school ministries that utilized small groups. In most cases, these small groups were facilitated by one or two caring adults who invested in the teens outside of youth group or church functions. The second factor for their continued involvement in the church is that these older adolescents and young adults felt valued by their church. Each was given meaningful leadership and service roles within a gift-based, servant-empowered environment. Jesus never forced belief on his disciples. Instead he looked for teachable moments. He seized life opportunities to challenge the disciples’ faith, creating and cultivating an environment where meaningful questions could be pondered. He used illustrations and stories, tying real life situations and faith together. He provided space for them to wrestle through issues that did not make immediate sense, and he never became angry when they “didn’t get it.” He could see their potential beyond their current condition. Today’s teens are under-challenged. Too often we conclude that youth are only interested in eating pizza, playing video games, or being entertained. Yet youth today are quite interested in questions of faith, social issues, or helping a friend through his or her parents’ divorce. As we rethink youth ministry in our Reformed settings, we must interact within adolescents’ real life settings. We must create challenging opportunities for them to discover their potential (God’s call) within the framework of a real life context–e.g., through extended, inter-generational mission trips. Jesus imparted responsibility to his disciples, ultimately trusting this rag-tag group to build the church. Here is where a massive paradigm shift is necessary. Serious questions must be asked regarding the viability of our static, Reformed church infrastructures. Why is it that all aspects of our churches are controlled by adults? Why is it that youth seldom have a voice? Why is it that youth do not serve in many leadership roles? Why is it that systems are lacking to help youth discover and implement their spiritual gifts? Why it is that youth ministry often receives the budget “leftovers”? It is within these “adultcontrolled environments” that perhaps the greatest disconnect occurs between the church and youth. Because there are so few opportunities for youth and young adults to connect through leadership and service roles, many, upon high school graduation, feel lost, with no purpose or reason to remain involved. They conclude that they are not wanted or needed. So it’s not surprising that many “check out” between the years of eighteen and twenty- four. As part of a redefined ministry context, student leadership development, accompanied by opportunities to serve, must become a high priority in every RCA and CRC church. Youth ministry must be redefined. No one church has it down to a science. No one approach will work in all congregations. And so we find ourselves faced with an exciting yet daunting challenge. Will we take the effort to rethink and redefine youth ministry, or will we continue to watch younger generations disconnect from our churches? Statistics verify that time is not necessarily on our side. The purpose of this article has been to raise awareness and foster greater action. Although time tested solutions are not offered, rethinking youth ministry by revisiting Jesus’ model seems like the logical starting point. As we extrapolate from this model, I believe we can begin to build a framework that will reconnect us with younger generations. Student leadership development, engagement in missions and social action, and the creation of authentic communities that foster meaningful theological reflection and action will be part of the equation. The result can and should be revitalized congregations and Reformed denominations, a people gathered, equipped, empowered, and sent to be the presence of Christ in this world. 1 Stanley M. Grenze, “Foreward” in Making Sense Out Of Church, Spencer Burke (Zondervan, 2003), 15. 2 Ron Hutchcraft, The Battle For A Generation (Moody Press, 1996), 12, 13. 3 Duane Smith, “Summary Information: Surveys Gathered by Eaglecrest Youth Ministry Services,” January 2000. 4 George Barna, Transforming Children into Spiritual Champions (Gospel Light, 1999), 56. 5 Bill Easum, Unfreezing Moves (Abingdon Press, 2001), 10. 6 Walt Mueller, Engaging the Soul of Youth Culture (InterVarsity Press, 2006), 86. 8 Walt Mueller, “More than Music” (seminar presented at the National Youth Worker’s Convention, St. Louis, MO, November 2004). Duane Smith is the coordinator for youth ministries in the Great Lakes Synod (RCA). He also serves as a youth ministry consultant for congregations throughout the United States. GroupMe – A safer way to text & communicate in groups. Many student pastors and small group leaders are looking for different ways to communicate with students. I have tried multiple social media methods including facebook, instagram, emails, phone calls, and at the end of the day…drumroll please…the most effective way to reach a student where they are at is through text messaging! 96% of the time a student will check their text message right away. We live in an era that communication is unfolding at a rapid rate. Though I’m 26 and part of the Y generation where we think anything is possible, and the world is a smaller place due to Internet and communication, I have the hardest time keeping up with the birth rate of technology. There is a new way to communicate every day. Set up multiple groups (I will be setting up some for my different leader groups) Your small group leaders could set up a GroupMe for their students. Collect money toward an event, project, or purchase – everyone can chip in! MUTE notifications…beware, it will blow up your phone once tons of people start replying. There is a way to MUTE the group so your phone isn’t constantly beeping at you. 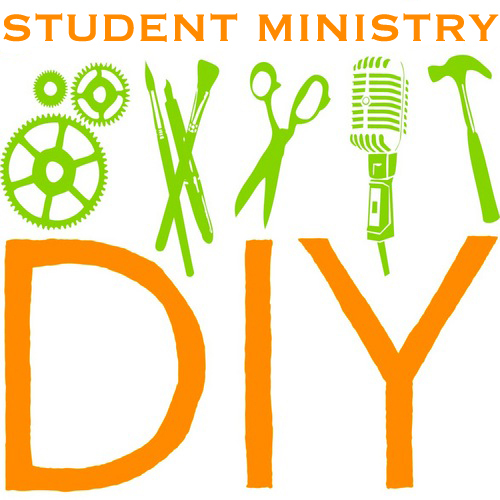 DIY SM – Do it yourself student ministry! Confession, I’m guilty of reading Popular Mechanics magazine. I love to find articles on do-it-yourself (DIY) projects around the house. Whether its staining the wood trim around our windows or changing the oil on my motorcycle, I find it fascinating to learn and do things on my own. While time alone and DIY projects are life giving to me…I know that doing student ministry alone is not! I hope you would agree with me that student ministry was not created for the student pastor. The student ministry is not a DIY project for one to carry all alone. Student ministry is not about you! It is not about what you accomplish, it is not about the best message you ever gave, and it is certainly not about the youth space or branding that you have created for students. 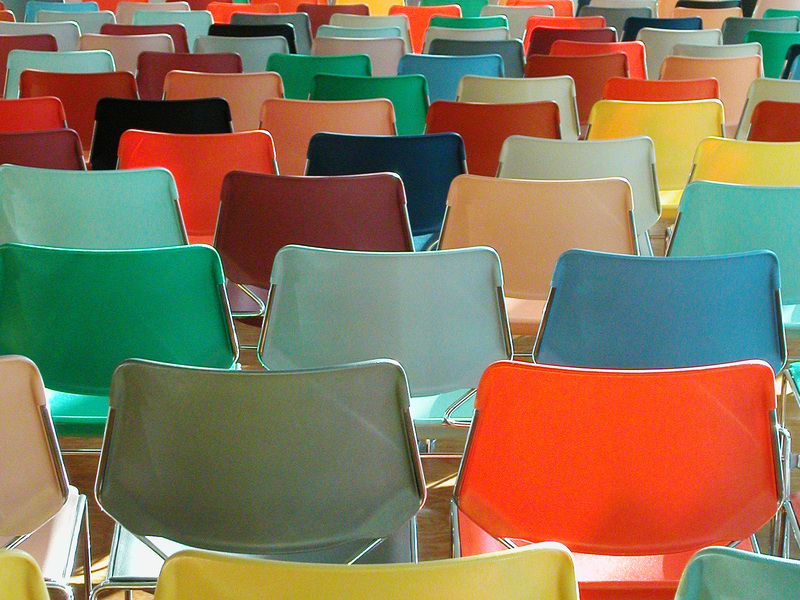 At the end of your term as student pastor, you will eventually be forgotten and replaced. That might seem a little harsh, but its the truth. Remembering that student ministry is not about you, and keeping that in front of you, will only benefit your ministry and expand its reach. Only when you have this mindset are you able to truly empower your volunteers and students do some ministry of their own. You may be thinking, “If I want things done right, then I need to do it myself.” Get over it. When you empower others to do ministry you relinquish your rights to be the “do-er” but you don’t relinquish your rights to be the visionary. Practice painting the picture for people, and let them do it! It won’t be done the way you would do it, but more is being accomplished overall through others than if you run a DIY SM. Many times I have found that when I empower someone else…whether it be a mom, dad, student, or fellow staff member…they do a far better job than what I could have done myself! The best memories in student ministry are made when many hands work together, making the job light, everyone is participating by putting their best foot forward in an area that needs attention. Healthy teamwork within your ministry is necessary in moving things forward. Readying the room. Setting out chairs, turning on lights, music, etc. Finding or creating a game and leading it. Stage design…hours can be spent doing this. Creating and maintaining a visitor followup process. Social media interaction – FB, Twitter, Instagram. Following & liking student posts. Trip/Retreat research. Lodging, meals, travel. Helping create or maintain a student band. Supply run. Need I say more? Liaisons between your church and local schools. Project planning and recruiting for the BIG event. …and the list could go on and on. As the student pastor you can’t do it all on your own. Empower your people! After writing this article I feel compelled to write out a few thoughts on each item listed above. Stay tuned. Question for you: What has been your biggest mistake or learning point in a DIY project? Whether in ministry or personally? I bought wi-fi on the plane for the first time…it is very slow, I’d advise against it and actually want my $5 back. 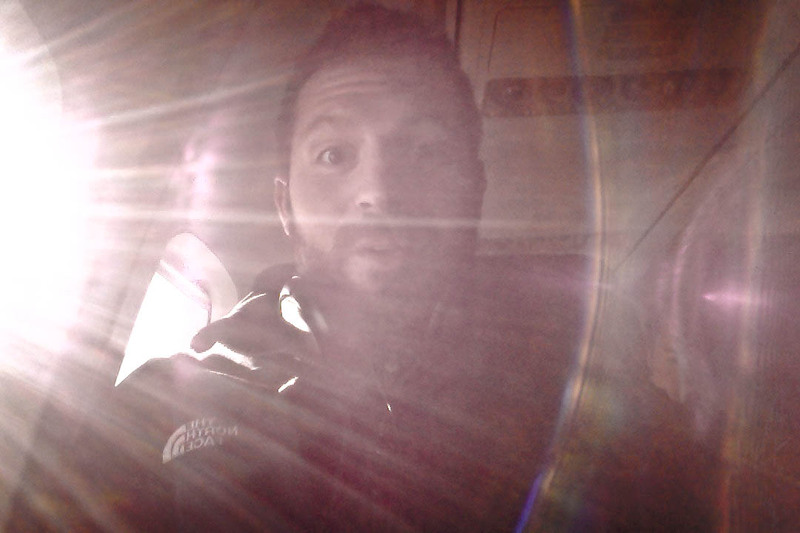 Nonetheless, this posting comes to you from 30,000 feet in the air! We put man on the moon, so I guess we shouldn’t be too surprised. How often do you look at your ministry from a bird’s eye view? Student ministry and really any ministry in the church is due a good look from a bird’s eye view. Up here I can see everything going on…cars and trucks, highways and interstates, farms and cities, rivers and forests, you get the idea. I just made this trip a couple months ago in a different fashion – Chicago to Austin via the interstate…it was a very different experience. On the road you can pick out details and give very special focus to particular exits, restaurants, pick out and dissect the hotel you may want to stay in, even play that license plate game for 1000 miles! When you are on the ground in ministry you get sucked into the nitty-gritty details of one program, one leader’s concerns, a game that needs to planned, a message that needs to be written…and this happens everyday one thing after another, non-stop. Getting stuck on one topic, problem point, or program may take you miles in the wrong direction when you are looking at the big picture. We have people on the ground that have extremely specific serving roles that need direction and vision. We need to know where we are leading our team and how we are getting there. This requires a bird’s eye view…often. How often do we take a two hour flight, get up in the sky and examine our ministry’s journey? Juggling the many tasks that ministry demands becomes somewhat natural for someone that has been doing it for a while. You can think, “I’m doing it!” But at what point do you put all of those things down to pray, evaluate, and take a good look from a bird’s eye view at the whole picture? Take 20 minutes to answer the following questions to get your own bird’s eye view of ministry…write your answers down and keep them in a place where you can see them throughout the day. Repeat the exercise at least once a month. Pray for an honest heart in evaluating yourself and your ministry. Where is my ministry bearing fruit? How can I thank God for what He is doing among my flock? Is my team driving the same direction I feel God calling us? Why or why not? Do the passengers trust the pilot? How can I continue to build trust with my team? What stories can be captured that will fuel my leaders with encouragement? What people or areas of ministry need more attention or focus from me? What item(s) am I spending too much time on? Pray for a willing heart to follow through on the questions you have answered. Do you like what you read? Subscribe via email in the top right corner or “like” this post below.